Looks like Samsung is not the only one who is trying to bring virtual reality (VR) to mobile space. 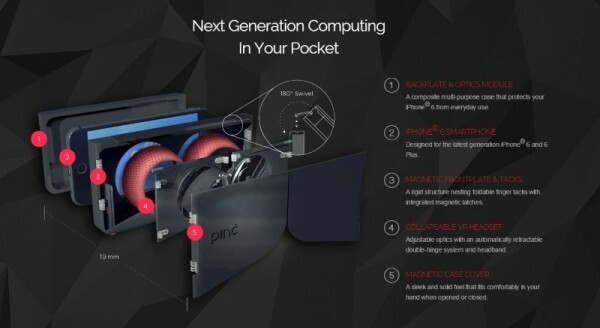 Another company from Canada called Cordon Media apparently has the same mission as well and has recently launched a crowdfunding campaign for its own VR headset that is designed for iPhone 6 and iPhone 6 Plus called Pinć (pronounced as “pinch”). What made it different though is that Pinć also able to function as a phone case. Specifically, the VR optics portion of Pinć is designed in such a way that it can be flatten down in order to enable users to fit both the VR headset and iPhone into their pockets. Of course, don’t expect it to have the same thickness as your standard iPhone cases though. Another interesting characteristic that Pinć has is the way that users are able to interact with it. Instead of using physical buttons, Pinć utilizes a gesture based control system through a pair of rings that Cordon Media called as “Pincher” which act as tracking points to detect movements and gestures by users. The tracking system also involves the usage of a special lens that users are able to attach to the camera on their iPhone. 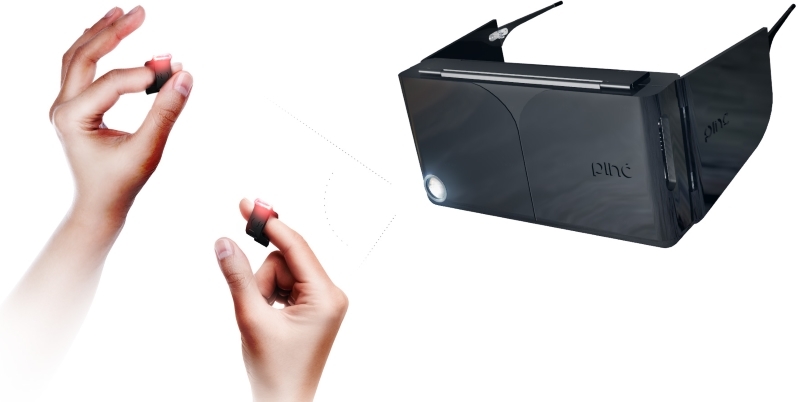 In terms of pricing, the company is currently taking pre-order for the mobile VR headset via Indiegogo with a starting price of CAD 99 (RM 295) which directly contributes to its crowdfunding target of CAD 100,000 (RM 297,863) via Indiegogo. So, to all iPhone 6 or iPhone 6 Plus owners out there…any takers?